Hi my friends & happy Tuesday! 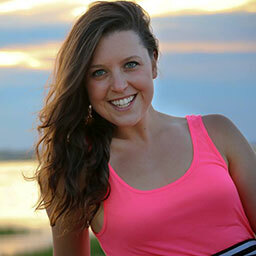 :] Hope you’re having an awesome start to your week. Now, that is a bit of a longer answer than the 10 second snapchat window allows, so I knew I wanted to write a few blog posts to feature some of the things I take. With the fitness industry, I think it’s easy to be lead to believe you “need” all of these supplements to be healthy or see results, but in the end, I really think it comes down to the basics. High on my list are probiotics & digestive enzymes (which I will elaborate on in another post), collagen (which is a newer one for me), protein powder for convenience, & essential fatty acids! All of these are as close to “natural” as possible and aren’t something chemically created in a factory. I believe our bodies are pretty smart and give us what we need but I also think there are small amounts of natural things that can help fill any gaps that we may not get from food, etc. Now, this is my personal opinion and as always, stay true to you and what works for YOU. I will elaborate on the other options that I choose in a different post but for today I want to talk about my experience with getting my daily omegas from a plant source –> Ahiflower. If you checked out my first post regarding Ahiflower, you learned ALL about where it comes from and why it would be beneficial for our bodies. 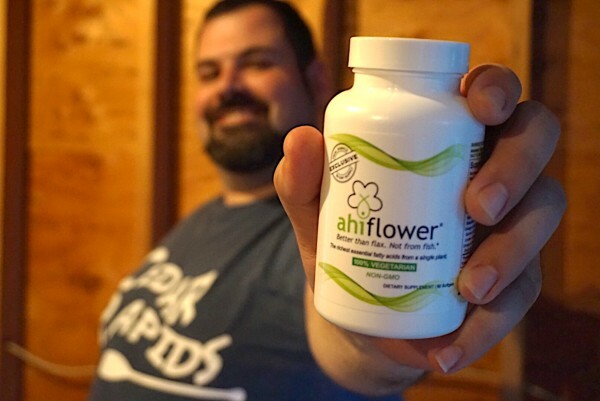 Ahiflower® oil is a Non-GMO nutritional supplement and food ingredient from a plant with the Latin name Buglossoides arvensis (say that 3x fast!) recorded as far back as 1597 in Gerrard’s Herbal that delivers a unique and unparalleled combination of essential omega 3, 6, 9 fatty acids—essential for health, vitality and wellness. Ahiflower is the commercial name given to this wonderful plant, derived from the Hawaiian word ‘Ahi’ for Yellowfin tuna. In the same way that yellowfin tuna or ahi tuna is a benchmark for good sushi, so Ahiflower is the benchmark for healthy nutritional plant oils. 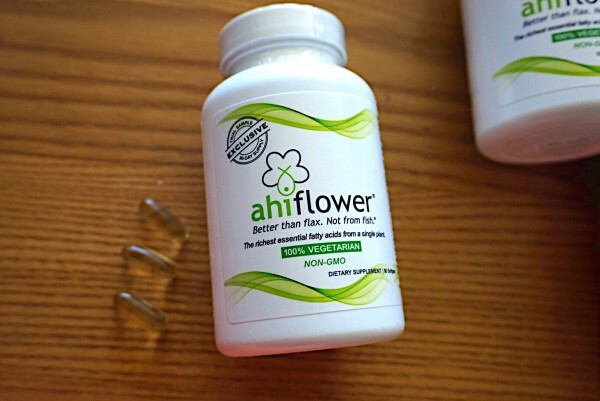 NCI (Natures Crops International) believes that Ahiflower® oil is the healthiest, most sustainable and scientifically proven plant seed oil that can deliver all your daily essential fatty acid needs. I personally haven’t had any joint pain (which is a benefit of taking a good omega supplement) as well as feeling good overall. I feel focused when doing work & taking on my daily tasks, as well as my body just feeling overall happy — I truly can’t think of a better word to describe it when you’re taking steps to keep your body happy and balanced….I truly think so much comes down to that. 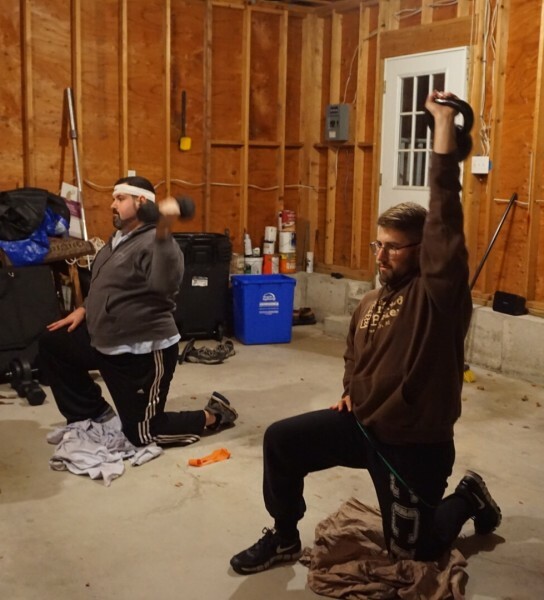 In the last post, I introduced you to my 2 ROCKSTAR clients, Danny & Kyle! 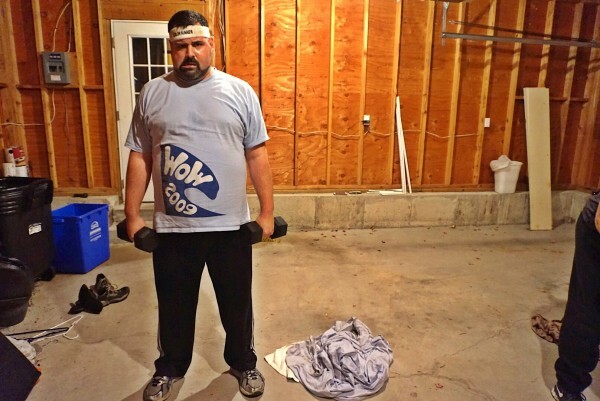 They train with me twice a week & are really making some positive changes in their day-to-day. They took the Ahiflower test over the last few months to test it out and see how they felt. 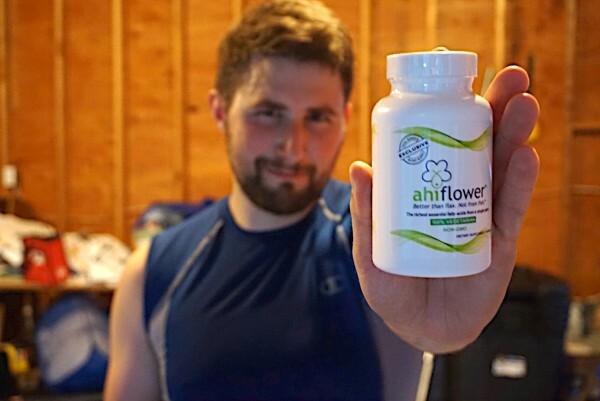 Together, we created a fun Ahiflower inspired workout to share along with their experience & a GIVEAWAY so that you have the chance to try Ahiflower in my next post! Check out that face of determination! ;] Stay tuned for the awesome workout we put together. Ahiflower is a safe, clean tasting, sustainable, vegan, and traceable omega-rich oil– unlike any other source! It’s hella better than flax, and it’s not from fish. 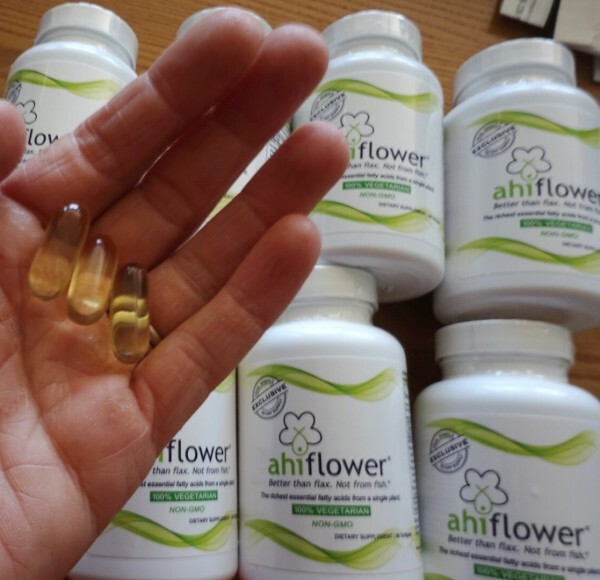 If you want to boost your healthy EFAs and not disturb any fish, Ahiflower is the way to go! This is a sponsored post between myself and Ahiflower — but as always, all opinions are my own! 4 Paws For CoCo & How you can help this amazing family!